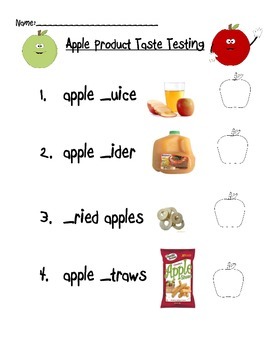 As part of a unit on apples, students can taste 9 different food items made from apples. 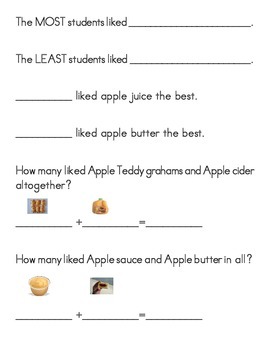 As they taste, they record their opinion by making a face on the blank apple to the right. 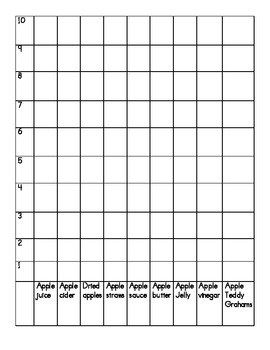 Then, you can vote on the class favorite and create a bar graph. There are questions to go along with the graph.